To help us kick off the first day of our Membership Growth Online Summit we invited marketing guru, John Haydon, to show us how to set up an online marketing funnel. So what exactly is a Marketing Funnel? 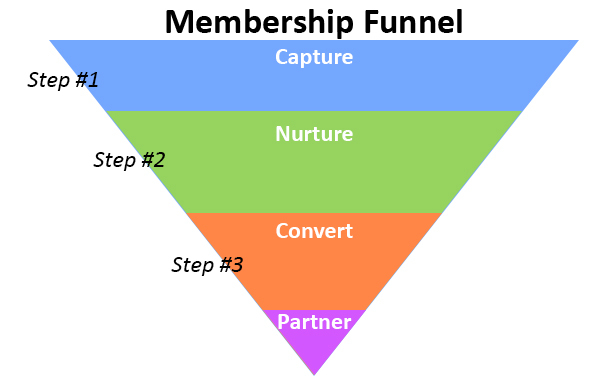 A Marketing Funnel is an automated process (that relies on email) which nurtures prospects into members as they learn about your organization.